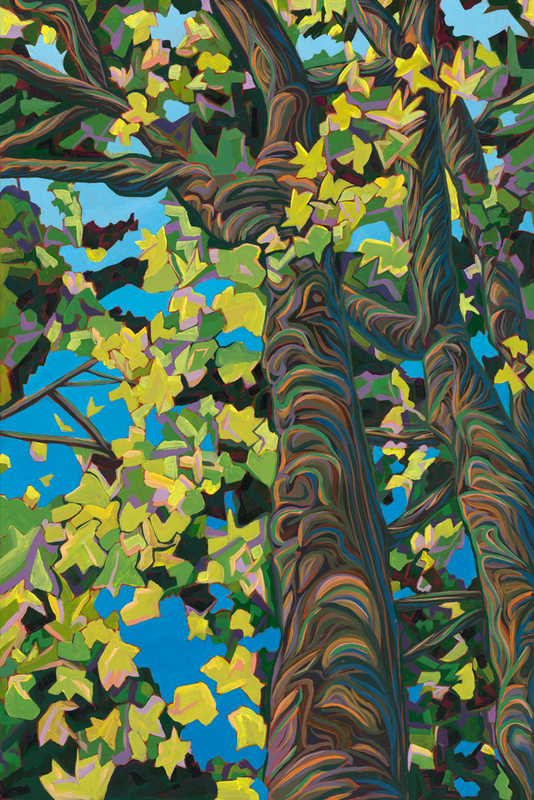 I am pleased to announce that my painting, Goldstream Trees has been chosen to be displayed at a bus shelter on the South side of Johnson Street near Quadra Street, here in Victoria, BC. This is part of Commute: A Bus Shelter Based Art Exhibition, presented by the City of Victoria and PATTISON Outdoor Advertising. For many years I worked with the Jim Pattison Group, producing a corporate video that was shown at an executive conference every year. While I’m at arm’s length from them for this event, it’s nice to be involved again; and I’m very grateful for yet another opportunity they’ve provided me! Previous post: I will be at the 31st Annual TD Art Gallery Paint-In!